You’re getting ready to hike the Appalachian Trail in 2018, 2019 or beyond. You’re capable, excited, and you’ve been doing your research. You’re serious and committed to having an amazing hike. But you have your questions about being a woman thru hiking the Appalachian Trail. You have some fears and some doubts. The Wild and White Blazing course gives you all of info you need for your Appalachian Trail adventure. 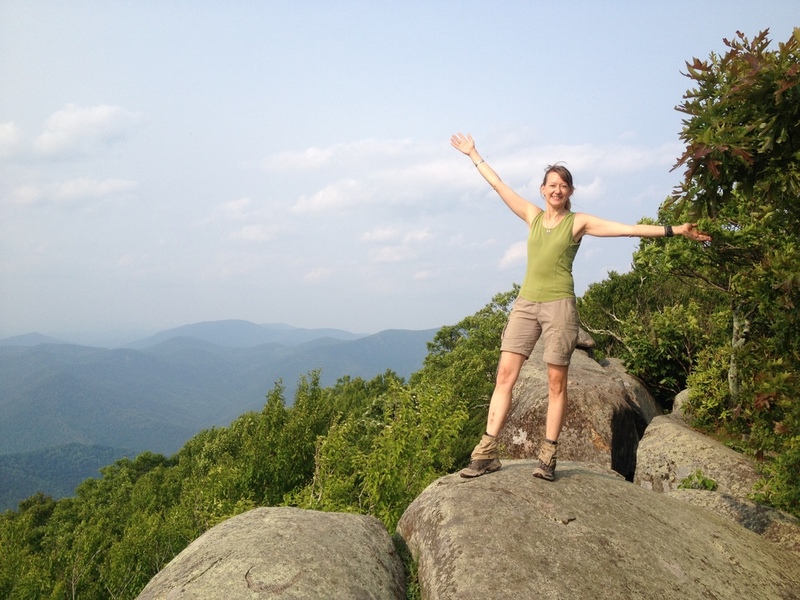 Taking the Wild and White Blazing virtual course automatically connects you to a strong and loyal community of women hikers who have hiked or are currently hiking the Appalachian Trail. Whether you're hiking with friends or blazing it solo, this course is packed full of the info you need to plan your big adventure and it comes complete with a community of fellow women hikers. Hear from other trail blazing women hikers about how this course has transformed their AT experience. I’m Carla (trail name Zipper) and I hiked the whole Appalachian trail in 2009, almost entirely by myself. It was such an incredible journey! Now that I’ve successfully completed my hike, I’ve created the resource I wish I had when I was planning my first AT adventure. Once you join, you'll have lifetime access to your course materials via your online Base Camp. No monthly fees. Just good stuff, for life. No matter where you are, your base camp and your community are there for you. When you sign up, you’ll receive immediate access to 30+ amazing audio sessions with an incredible selection of thru hiker faculty, discussing everything you could ever want to know about planning and executing a happy, successful thru hike. You’ll also enjoy access to a private forum to get more support and share with experts and fellow participants. Get the support you need and interact in real time with women who’ve successfully thru hiked! Get plugged into our private women's thru hiking Appalachian Trail forum and get your questions answered by expert women thru hikers. Share and plan, and be supported by other wild and white blazing women planning a hike. Hosted by thru hiking AT veteran Carla Robertson and fabulous “celebrity guest” faculty thru hikers! We covered so many different topics, from fear to gear to food to town stops, weather, safety, relationships, and so much more! They’re ready for you to download now! Get the scoop on everything from food to gear to money to best shelters and views on the trail!